WELLINGTON, New Zealand (AP) — Fifty-one pilot whales died Friday in a mass stranding in New Zealand, less than a week after 145 pilot whales and nine pygmy killer whales perished in two other unrelated strandings. 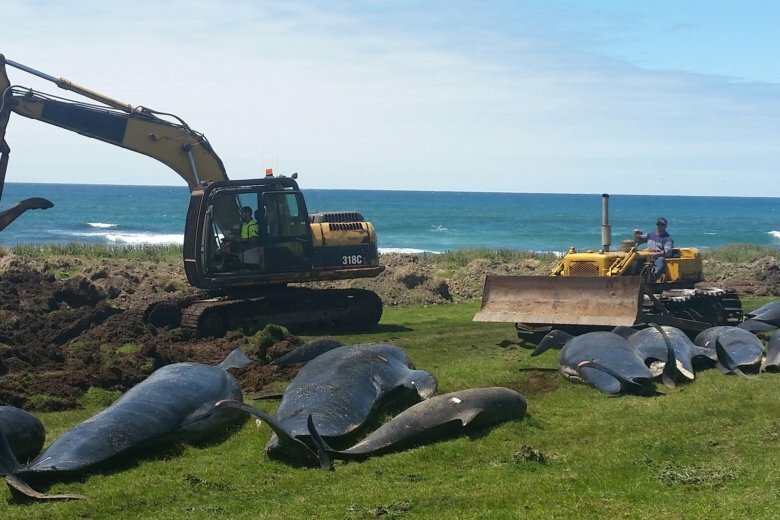 In the latest stranding, up to 90 pilot whales beached themselves late Thursday at Hanson Bay on the remote Chatham Islands, said the Department of Conservation. When staff arrived, they found up to 40 of the whales had refloated themselves but another 50 had died on the beach. The department said one beached whale remained alive, which staff decided to euthanize due to its poor condition. The Chatham Islands are about 800 kilometers (500 miles) east of New Zealand’s main islands and are home to about 600 people. Last weekend, 145 pilot whales died on Stewart Island. By the time conservation workers arrived there, about 75 of the whales were already dead and they decided to euthanize the others by shooting them due to their poor condition and the remote location. On Sunday, 10 pygmy killer whales were found stranded at Ninety Mile Beach on the North Island. Despite the efforts of 200 staff and volunteers, who managed to refloat eight of the whales after transporting them to a beach where conditions were calmer, all but one of the whales ended up stranding themselves again by Wednesday. Those whales were also euthanized. Dr. Dave Lundquist, a technical adviser on marine species, said in a video released by the Conservation Department that there was no evidence to suggest the strandings were linked. “You’re talking about strandings across the entire breadth of New Zealand in a very short period of time, which naturally does cause everyone to reflect on whether those might have something to do with one another,” he said. Lundquist said that while scientists don’t typically know why individual whale strandings occur, they believe there are probably a range of reasons. He said they could be caused by whales navigating incorrectly, trying to escape from predators, or some of them suffering injuries or illness. He said there could also be man-made factors like underwater noise. “In many of those cases, it’s probably a combination of those factors,” he said. Whale strandings are most common in New Zealand during the Southern Hemisphere spring and summer.